Sometime ago I purchased a top from a store, which had a simple embroidery on it. The top was block printed[black motifs on maroon fabric]. 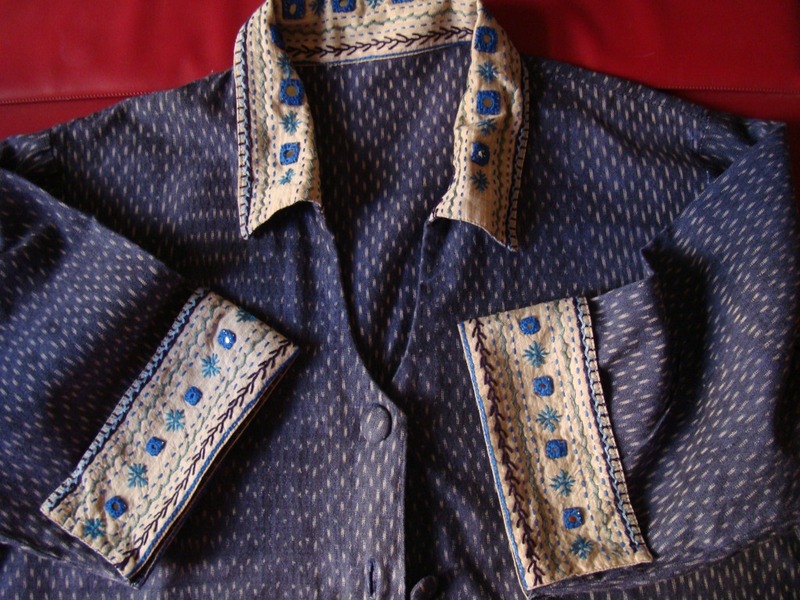 The collar and sleeves were attached with another block printed piece[ black on beige fabric] with designed lines. These kind of block prints are quite common in India. The embellishment – mirrors were attached springly to the designed lines at regular intervals. After looking at it , I thought maybe a striped fabric can be used as a basis for embroidery. Line stitches can be worked with some mirrors. With this idea, I did two tops-one in blue and another in lemon yellow. In this post , I am giving the details of the blue top. 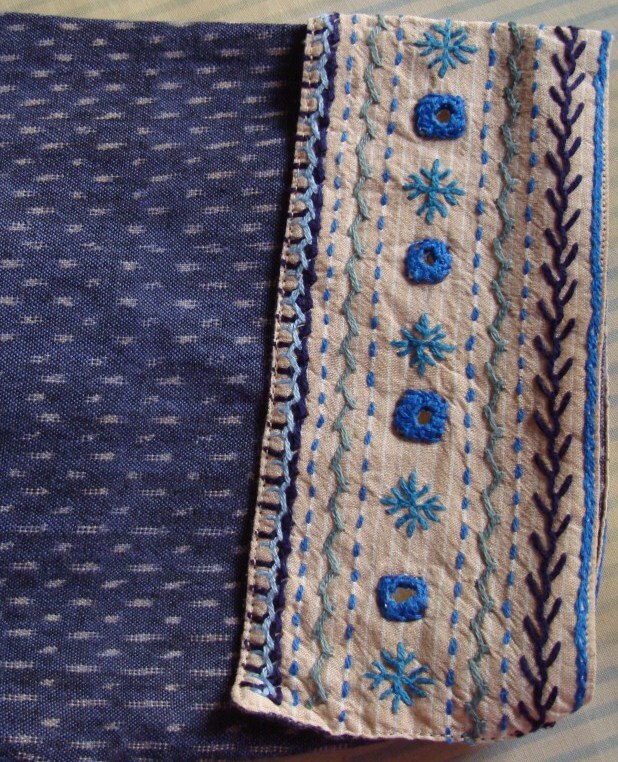 This blue top is hand woven ikat material- dark blue with beige . the striped fabric chosen was beige too. The yellow top on my next post.